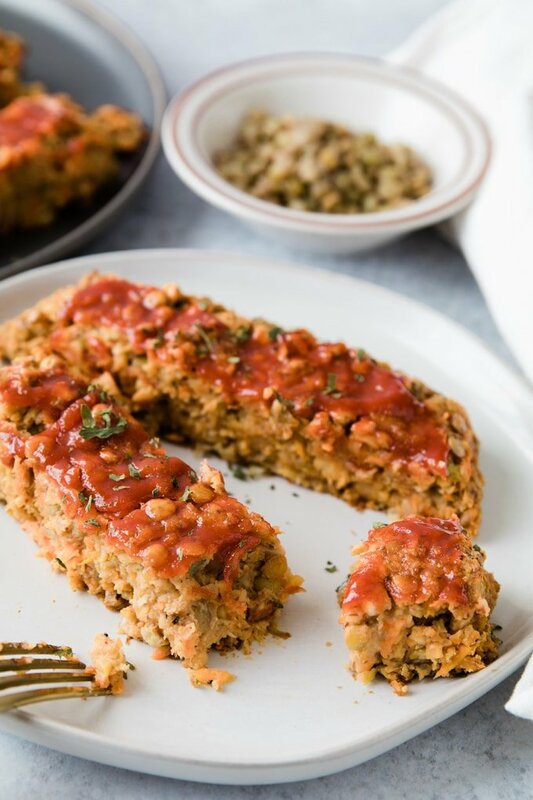 This Easy Vegan Meatloaf is made with a base of chickpeas and lentils and is a hearty and satisfying meal. It’s so simple to make and is a comforting dinner everyone will enjoy. 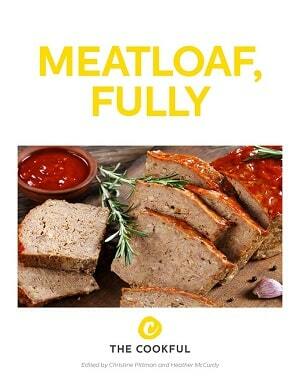 When making vegan meatloaf, no one wants to end up with a mushy meatloaf – that’s the worst! 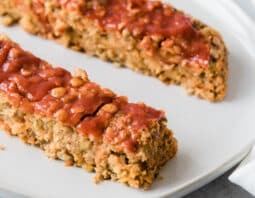 My tip to solving that issue is using a combination of both chickpeas and lentils to create a hearty, fiber-full and delicious vegan meatloaf. While making meatloaf that turns out just right can be frustrating, this recipe is pretty hands off and easy to make for the home cook. All the ingredients are processed in a food processor (like this one) and then formed into a loaf shape on a sheet pan. 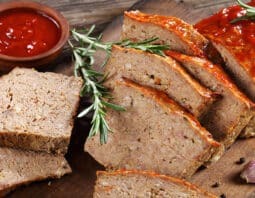 Secrets to making the best vegan meatloaf with success. 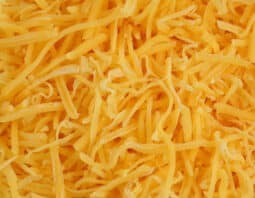 Get the perfect taste and texture. Getting just the right texture in vegan meat substitutes can be tricky. Here’s my secret to getting the perfect texture for vegan meatloaf. When pulsing the ingredients, you want to be sure not to blend for too long because you don’t want it to form a paste. Pulse just enough so you can still see some texture from the chickpeas and lentils. Use the proper proportion of ingredients. 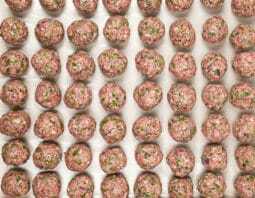 The proper proportion of ingredients is key to making a perfect meatloaf. We’ve already done the research and tested different methods out for you. You can read more on the best formulas for vegetarian and vegan recipes here. Another important tip to making a successful vegan meatloaf is to let it rest. 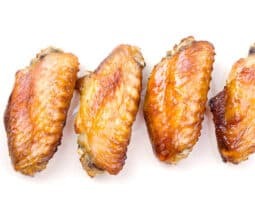 When you remove it from the oven, let it cool on the parchment paper for about 10 minutes. If you’d like to let it cool longer than this, transfer it to a wire cooling rack first. 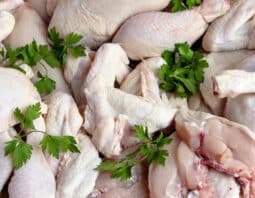 This cooling process allows it to firm up. Preheat oven to 375°F. and line a baking sheet with parchment paper. In a food processor, place all ingredients and blend. You can work in batches if the food processor seems too full. Most importantly, do not process the mixture too long because the meatloaf still needs some texture. Place mixture on the parchment paper and form into a loaf. Bake for 35 minutes. After 35 minutes, spread ketchup on top and then sprinkle with coconut sugar to help the top caramelize. Bake for another 20 minutes. Let rest for 10 minutes. Garnish with more dried parsley.